There is a certain appeal to historical European martial arts, one that continues on even to this day. And for the avid practitioner, good protection is a must. This Medieval Sporting Great Helm offers not only good protection, but an iconic look, too. 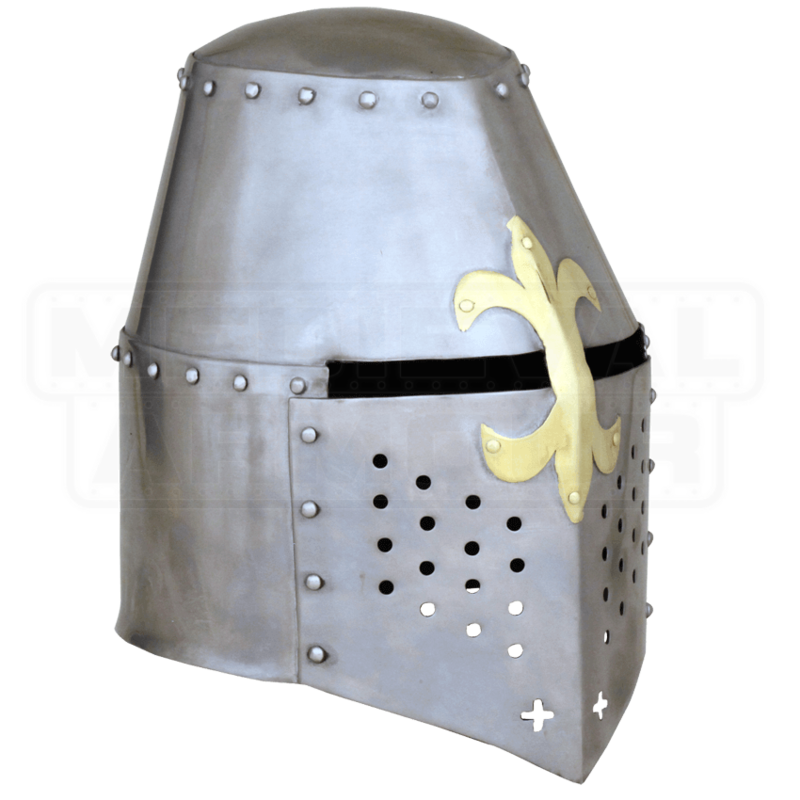 Based on the great helms of the Crusades Era, this helm possesses a cylindrical form that leaves little wonder at how the great helm was also nicknamed the pot helm. The round shape features a narrow, subtly curved crown, with a more swelled face to allow the wearer room to breathe while wearing it, as well as room enough to wear a smaller, lighter helm, should they plan on discarding the helm midway into the fight. The face-mask of the helm is adorned with small round cut-outs to better help with ventilation, while also featuring two wide rectangles, which serve as eyelets. Set between the rectangles is a touch of decoration, in the form of a brass double-ended fleur de lis icon. The helmet features internal padding as well, for added comfort when worn. The helmet comes in two models - the 16 gauge version is designed for light and moderate reenactment, and serves well in SCA events as well, while the 14 gauge version is heavier and made more to stand up to the rigors of more typical combat and traditional swordplay. 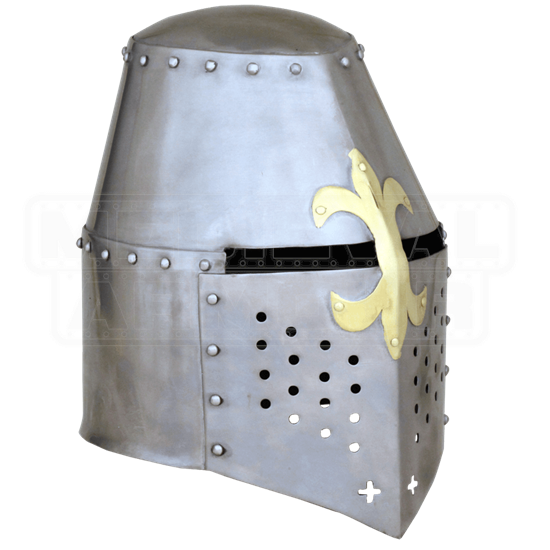 For the modern-day swordsman, this Medieval Sporting Great Helm is a perfect accent to your collection, not only reminding you of the great knights of history, but also allowing you to become a knight yourself, once you don your armor and draw your sword.